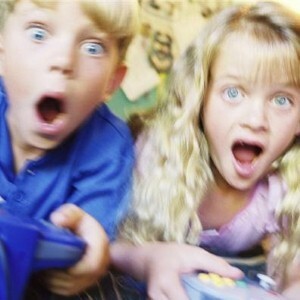 Video games have become a part of life for many American families, with as many 74 percent of families with school-aged children saying they own devices like Wii, Xbox, Playstation or other portable hand-held game systems, according to the website SafeYouth.org. But can using these games actually hurt your kids? A new study suggests children who play video games for more than an hour a day have an increased risk for wrist and finger pain. The study was initiated by the 11-year-old son of a rheumatologist who noticed his fingers ached after he played video games. He teamed up with his father and researchers at New York University for the study of 171 kids in his school between the ages of 7 and 12. According to HealthDay.com, the study found that each additional hour of play increased the likelihood of experiencing pain by 50 percent. In addition, younger children were also more likely to have wrist pain than older children. Dr. Eric Ruderman, an associate professor of medicine at Northwestern University’s Feinberg School of Medicine, told HealthDay.com that the findings suggest that video game playing may not be good for children’s developing muscles and tendons. He says it’s important parenting advice to know how much time your children are spending on video games and to limit their usage. "Two or three hours a day, irrespective of pain in their hands, is too much time for a 7 or 8-year-old to be playing video games," Ruderman says. The American Academy of Pediatrics agrees, saying children over the age of 2 should have no more than one to two hours of "screen time" each day.